Did you know there were alternatives to the usual bricks and mortar houses? And at a fraction of the cost? The best of these options is that once you get the basics, you can use unskilled labour to build. This is great for job creation and skills transfer!! And not being in debt for the rest of your life paying off a house! 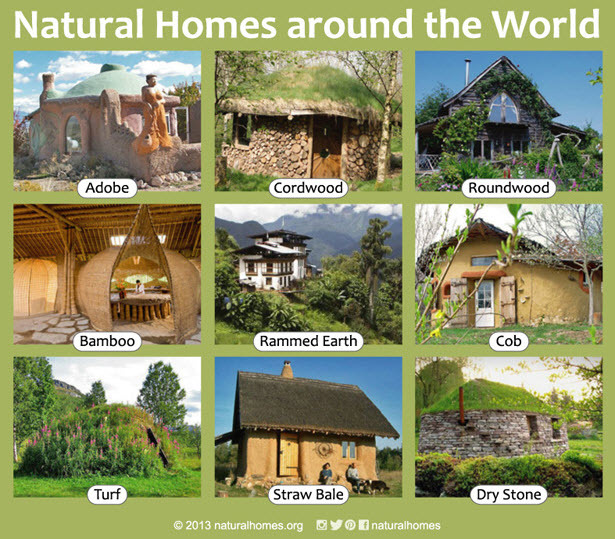 Cob houses are made with sand, clay, straw and water. Materials you could find on your property. No hard corners here! You can turn your house into a fairytale wonderland. If Jill Hogan in Cape Town can do it, so can we. The designs are practically endless and only limited by your imagination. Straw bales are stacked like blocks to form the walls of a structure and covered with a plaster. 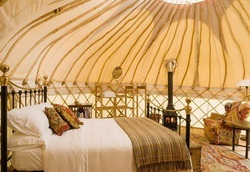 Straw bale walls have high insulation and are sound proof. They also work great in combination with cob. The Starflower Strawbale Project in Jhb has all the answers on this one. Fill bags with sand, pat them down into a structure and you're on your way. Locals offering courses in how to do this are Eco Steps in Hoedspruit. Colleen is super friendly and helpful! They helped in getting legislation changed to get loans for these types of buildings. Gorgeous wooden structures covered with canvas and felt - get creative and make a pod! I can't find local suppliers yet, but check out the guys in the UK. A comprehensive explanation on more alternative building methods can be found on Build It Green.